The Mill Brewery is situated in what was once an old mechanic’s workshop. After a coat of paint, we think you’ll like the transformation into an industrial yet cosy space to enjoy some beers among friends. 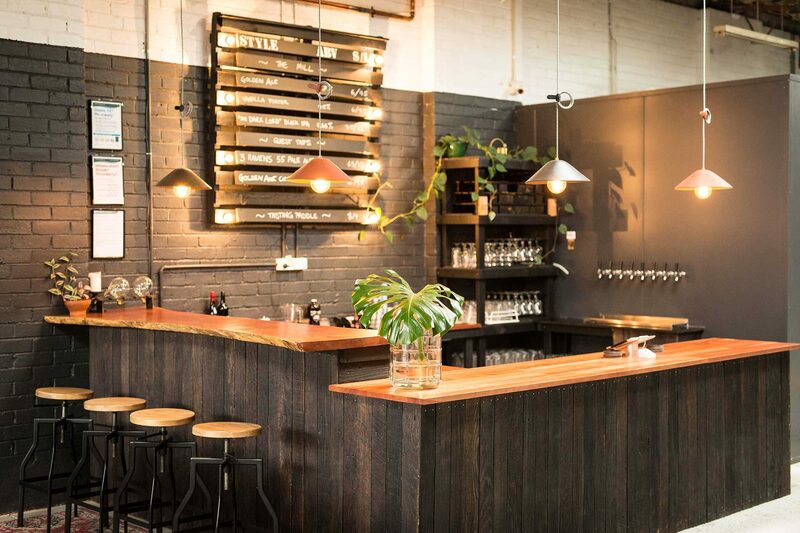 The space is open plan with hand made redgum tables, a custom bar fit out and the 600L brewhouse on show at the back of the warehouse. We take bookings and can also offer the space for events and private functions. Please contact bookings@themillbrewery.com.au for enquires.